Just as Monday is a themed dinner day so is Tuesday. I think Tuesday is my favorite, Giant Bowl of Food day. It consists of copious vegetables, a little bit of protein, low fat, and complex carbohydrates. It is important, at least to me, to be able to have seconds. Today’s GBOF is yesterday’s chicken and an assortment of vegetables plus an omelet sliced up. I made some brown rice in the morning and let it cool. Flavorings are sesame oil, soy sauce, ginger, and garlic. 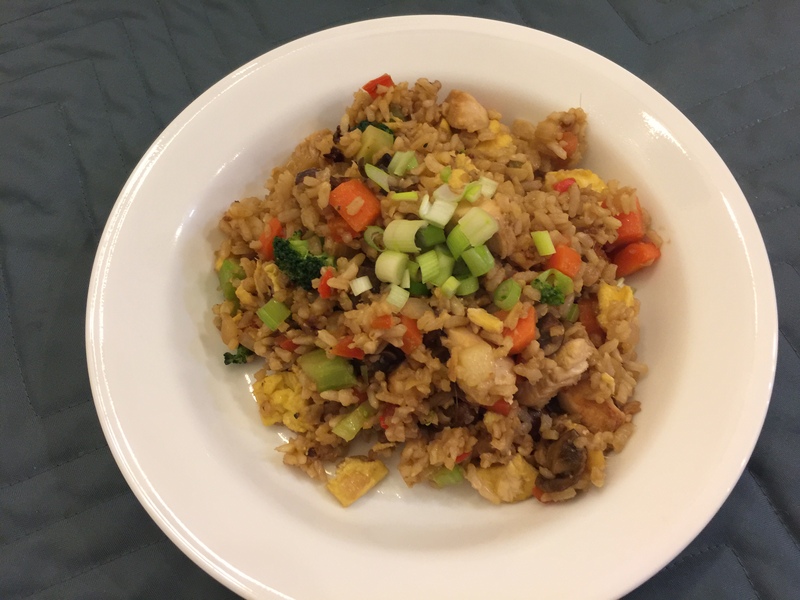 This entry was posted in Eggs, leftovers, Poultry, rice, Vegetables and tagged brown rice, chicken, Vegetables. Bookmark the permalink.